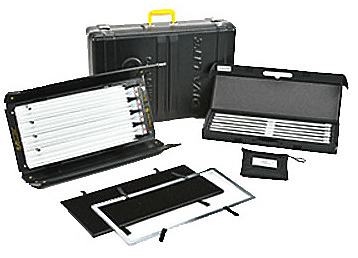 The 120-240VAC Kino Flo Diva-Lite 400 Universal One Light Kit with Stand contains a Diva-Lite 400 Universal fixture, slip-on Flozier diffuser, medium-duty light stand with offset mount, a lamp case, and a clam-shell-style travel case. 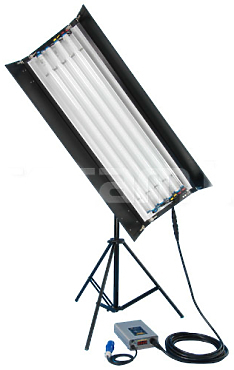 This equipment, plus fluorescent lamps (sold separately), will get you started with a very efficient and versatile lighting setup that is ideally suited to location shooting and other instances where quick setup and break-down times are highly coveted. 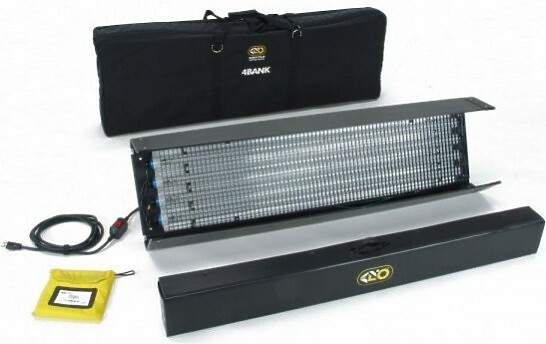 The Tegra 4Bank DMX Kit with Travel Case from Kino Flo is an all-purpose fluorescent light source that is equally at home in the studio or on the road. The Tegra head features a built-in ballast and ships with a Lollipop arm with a 5/8" stand mount and a 90° honeycomb louver. 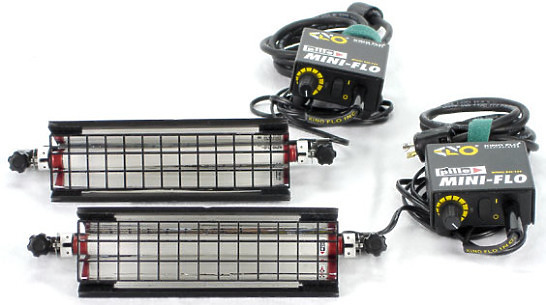 The popular Double portable lighting system needs no introduction. The trim profile of the fixture and light weight design makes it perfect for both soft key and fill lighting in tight locations. Soft and cool. 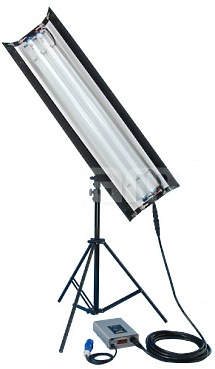 Great for lighting interviews. 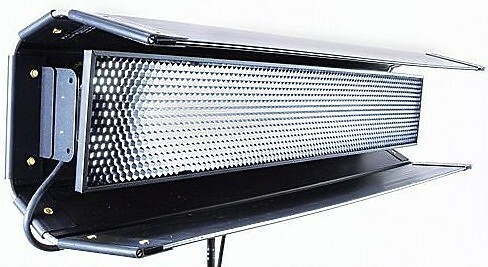 This model takes two four-foot fluorescent tubes, a remote ballast, extension cables and both daylight and tungsten tubes. All fits into one case. 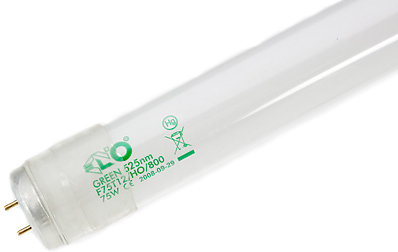 The T8 HFI Stick-Lite (Ø 35,4 - 38,4mm at the end caps) with integrated HF-electronic for a wide range of applications.